Ever wanted a camera that half point of shoot with another half a tablet? Samsung Galaxy Camera on for the best network! The Samsung Galaxy Camera is without a doubt one of the most niche devices. 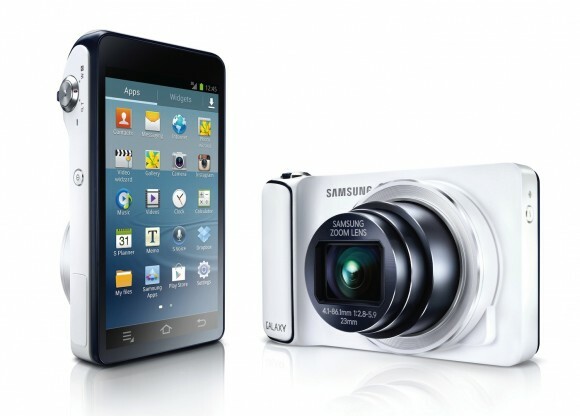 The Galaxy Camera is not just a normal camera, it runs Android operating system and has a sim card slot with 3G connectivity. Have a look how awesome this half point shoot camera and tablet. Always an interior fan but let alone the Architect part this time; Simply adores the lovey dovey Couple Date in the video clip. The couple looked so cute together. Now you can experience the 1st Android based camera with 3G capabilities only with the advantages of Celcom First on Malaysia’s best network. The price starts from RM1499 with Celcom First Data Lite plan for instant connectivity! Celcom launched Samsung Galaxy Camera, the first Android-based camera with 3G capabilities, comes with Celcom First Data Lite plan so you can shoot, edit and share on the go! With Celcom First Data Lite, you’ll enjoy 1.5GB of data with speeds of up to 1.5Mbps at only RM48/month. Plus you will get to enjoy the Samsung Galaxy Camera from as low as RM1,499 (RRP:RM1,899), with the advantages of Celcom First. That’s RM400 saved in your pocket! This amazing Samsung Galaxy Camera takes stunning photos, edit them on the spot, and post to your favourite social media straight from the camera itself, with seamless connectivity of the best data plan. With Celcom First Data Lite package makes sharing extra easy. Last, why with Celcom? Because Celcom is the best network in Malaysia that gets the best of Celcom Territory, wherever you go. It has the widest network coverage anywhere in Malaysia, indoors, outdoors and on-the-move. Celcom offers the best network quality, be it messaging, voice calls, videocalling, surfing, email, etc. Celcom gives you the richest web and video streaming experience with its stable connection. Faster grab the first Galaxy Camera with Celcom! One of samsung finest architecture ever..